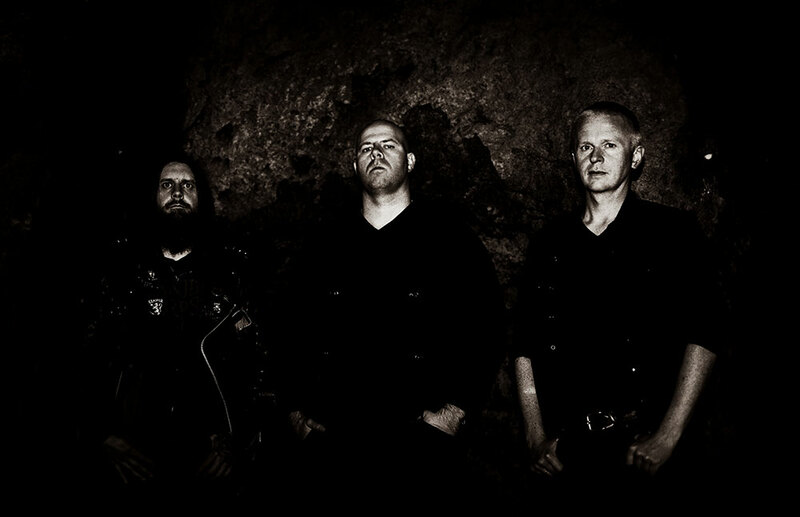 Norwegian death metal band Shaarimoth resurface after a decade of dormancy. Peeking behind the veil of existential falsehood – we visit their temple of worship to hear the songs of Chaosophia, and learn why the ‘I’ must die to truly open one’s eyes. – We went into hibernation after the release of our 2005 debut, “Current 11”. Reasons for this were several, one of them being that our drummer at the time left the band just before the album came out. Up until that point, SHAARIMOTH had always been a trinity. Despite temporary mercenaries, the band’s creative nucleus had always consisted of F on guitars, bass and keyboards, drummer M, and my interviewee R handling vocals and programming. – With M pursuing other musical directions, F and I tried putting a new line-up together. The individuals we were in touch with back then never felt right though, and there was also the gradual realisation that we had different priorities in life. I suppose we lost our passion as a band for a while. The duo never abandoned their ambition of creating more music together under the SHAARIMOTH moniker, and once in a while over the years they would gather to conspire in composition. – Around three years ago, we decided that the time had come to fan fires that had been left smouldering for almost a decade. A tangible goal was set – the spark had been reignited and our artistic flame burned brighter than ever. 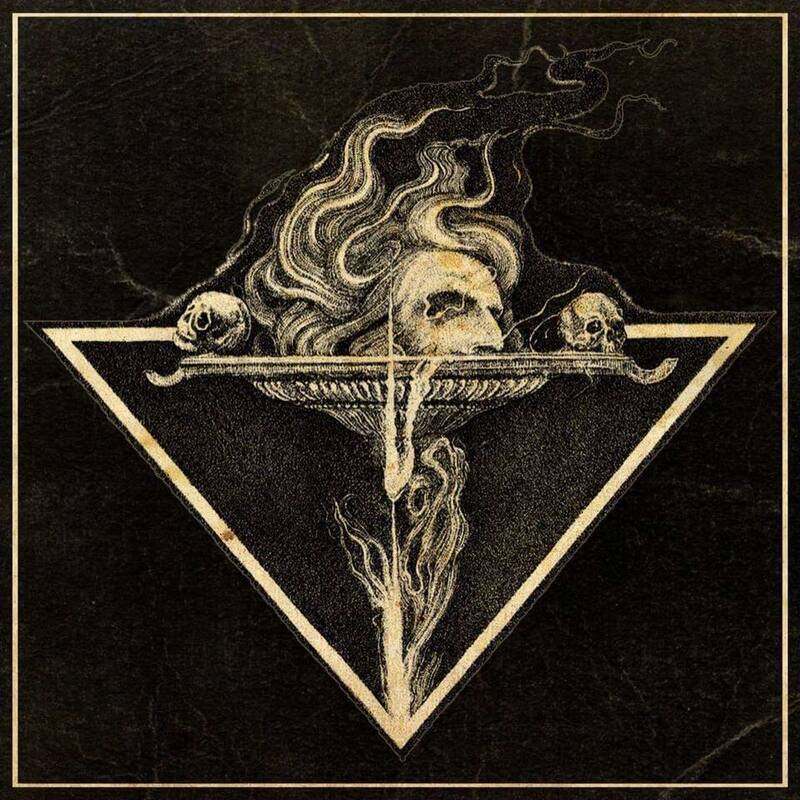 In January 2015, and with temporary assistance from their old drummer M, SHAARIMOTH entered Frog Leap Studios to record one song – “HVHY-Formulas of Un-Becoming”. The reasoning was that they wanted to try out the studio before booking it for an entire album, as well as scout for a record deal. – The song attracted a fair bit of attention online, and lead to us signing with German label WTC. Once everything was in place, we recruited J from GEHENNA as our new permanent drummer and then set out to record our second album; “Temple of the Adversarial Fire”. What is this Temple, besides the name of your record? – It’s a multi-faceted title, but the purely semantic significance is an attempt at capturing the album’s gist within a few words. It’s an expression for the adversarial powers of Sitra Achra as manifested through music, with the songs laid as bricks in our metaphorical sanctuary of worship. More about this to follow. The album contains quite a few innovative uses of influences that go beyond traditional death metal. For example; “Point of Egress” starts off reminiscent to ARCTURUS, only to suddenly morph into “Judgement”-era ANATHEMA. – We wanted to rid ourselves from restrictions of any kind, explore uncharted territory and just leave our hearts and minds open to its natural flow – allowing that to mould our creative vision. Darkness is the main source of inspiration for this art form, so achieving a corresponding atmosphere was paramount. “Current 11” was in comparison a rather violent and harsh affair, and featured influences from primarily oriental music traditions. – “Temple of the Adversarial Fire” delves deeper into a wider range of emotions. It maintains the aggression of the debut though, such elements are essential to death metal. Embarking upon my maiden voyage through the Temple and coming upon the first verse of “Elevenfolded Wrath of Sitra Achra” – all I could hear when the vocals started was DEICIDE’s “Sacrificial Suicide”. ‘Satanized, crucified, feel the wrath of suicide’ and so on. I’m curious if anyone else has pointed this out. – I’ve never heard that comparison before, and I think it’s the first time anyone has mentioned DEICDE in the same breath as SHAARIMOTH. From what I’ve seen in both old and new reviews, we’ve been associated with many other bands – some of which I can understand, and others where I do not see any similarities whatsoever. It was exclusively the vocal arrangement I was referring to though. In order to get a second opinion on the matter I played the song to a friend, but before we got that far he mentioned recognising the ’Zazas key to the abyss formula’. – That is correct, it’s a sonic key used to unlock gateways to the abyss both within and without. The formula is associated with the demonic entity Choronzon and the mantra is said to open the gate of Daath, which it guards. It fits the purpose of the song, considering the rest of its content and lyrical build-up. Shaarimoth – J (drums), R (vocals, programming) and F (guitar, bass, keyboards). These terms, like many of those that follow, derive from the Chaosophian nomenclature. 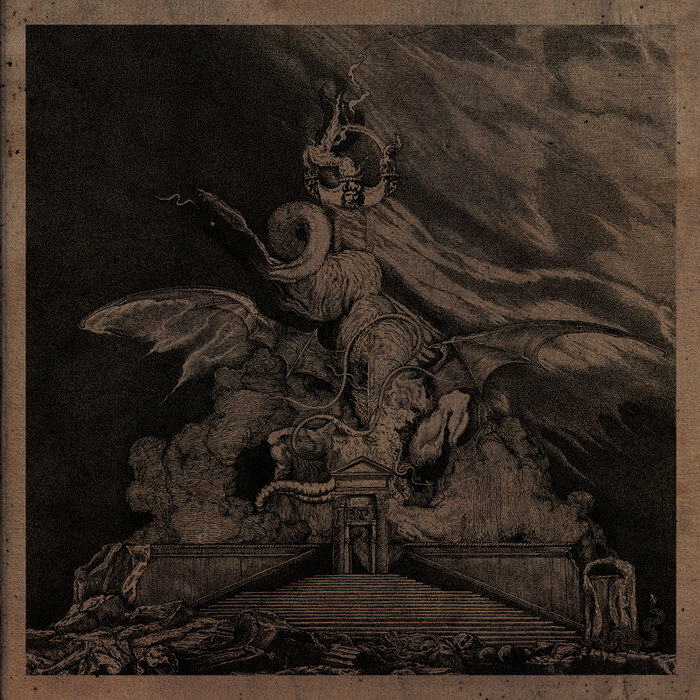 As should be obvious by now; while their music has taken a somewhat new direction, SHAARIMOTH are still heralding the gospel of Chaos-Gnosticism. In a tremendous over-simplification of what that entails, the idea is that humanity is enslaved – manacled to the illusion of cosmos and as such kept from realising its true destiny. – SHAARIMOTH is a tool of expression, created to manifest the Dark Currents by means of music. We pay homage to the true darkness that exists beyond this world, and to all the potential that lies dormant within us. The universe as we know it, along with the flesh that traps the human soul, is the creation of a cosmic imposter who poses as God – the demiurge. This celestial charlatan is made up of ten emanations, or spiritual forces, known as sephirots. To break free, one turns to its mirror counterpart – the eleven anti-cosmic gods. ‘Eleven to kill the ten’, as the song goes. – Through our music we seek to channel the adversarial energies, to act as an outlet for the currents dwelling in the deep and to introduce the listener to all their glory. Many of the songs contain what I presume to be invocations of some kind, and I wonder what their purpose is. Meaning – if they were implemented to somehow alter the sonic output, or to infuse the music with some manner of otherworldly enhancements. – They are glorifications of the Dark Gods, entreating the forces behind their sacred names to open spiritual gateways to the other side. By bridging our two worlds, these powers are granted a medium to speak and act through – and so the bond between them and our music is strengthened. This would make sense in theory, seeing how infusing music with magic and prayer is a practice as old as human consciousness. – Ritual and ceremony have been with us since the dawn of man, and not only within a religious context – it’s been integral within social celebrations; transitory passing, culturally ingrained habits, or everyday routines, to name a few. Often marking physical or psychological changes, providing a template to guide emotions and actions. R says that rites of faith have several purposes in his existence, and signify something far deeper and greater in amongst the daily mundane. – It provides a space of adulation, of transgression and alteration; discouraging all that leads away from the true self. Beliefs, behavioural patterns and values are reinforced in accordance to my will. It’s about establishing and maintaining a link to the divine – to congress and commune with forces of the other side and through them find spiritual singularity, truth and liberation. I presume this is what in Chaos-Gnosticism is called igniting one’s Black Flame, a concept that sounds almost like a form of chaos nirvana. – I suppose it could be defined as something like that, if you’re referring to the release into primordial oceans from a perpetual cycle of rebirth and reincarnation. It is through cultivation of this inner fire that one can reunite with the outer flame, and to do so one must have knowledge and experience of both. This still sounds rather metaphorical, is there a pragmatic way to describe it? – To me, the Black Flame is a symbolic term for the latent ’divine spark’ hidden within; the gateway to the self, unbridled from creation’s confinements. Its ignition signifies the beginning of one’s journey towards salvation – the Black Flame is what connects us to the Acausal Fire, and holds the essence of Sitra Achra. The term ’Sitra Achra’ stems from Jewish mysticism, and the literal translation from Hebrew is ‘the other side’. It’s considered a realm of impurity in Kabbala, which to my understanding is an esoteric tradition in direct opposition to Chaos-Gnosticism. – Proper elaboration on everything hidden within this principle is too complex to delve into here, but I can try to briefly sum it up. Sitra Achra is the antithesis of the sephirothic creator, the demiurge’s ‘negative’ polarity which came into existence through the act of genesis. It can be seen as a reflection in the outer darkness beyond the restrictions of the Tree of Life. In Kabbalah, the Tree of Life is a descriptive term for the ten sephirot – it represents God’s creation and the nature of divinity, as well as the human soul and its path to spiritual ascension. Sitra Achra is often referred to as the Tree of Death, a sinistral impulse created as a counter-reaction to the cosmic structure and creation itself. – The Nightside emanations of Sitra Achra are considered ’evil’ within the Kabbalistic traditions, since they represent everything in opposition to what’s deemed ‘good’. Really, it comes down to the eye of the beholder as these words are relative terms representing subjective morals. What the Kabbalistic traditions categorise as impure, I would generally define to be pure as they are spiritual energies in harmony with my own will. While the Chaos orientation is a modern school of thought, traditional Gnosticism has been around for millennia. Not much was known about it until 1945 when an Egyptian peasant digging in the soil discovered twelve leather-bound codices in a sealed jar. This would later become known as the Nag Hammadi library, or the Gnostic Gospels. The central idea is to attain Gnosis as means of liberation from a world of illusion, utilised by the now familiar demiurge as an instrument of existential captivity. – The Gnostic writings, including the ones described in the Nag Hammadi library as well as the Ophites and Cainites traditions, contain much wisdom. Disregarding the terminology, which differs from my beliefs, I find many of old Gnostic texts rather stirring as there is plenty of common ground. However, my main source of inspiration is the contemporary Chaos-Gnosticism that rose during the last decades, a tradition incomparable to any of the other ones mentioned. Despite the Church’s best efforts, the Gnostic teachings remained alive. Its primary European revival came to southern France in the form of Catharism between the 12th and 14th centuries. The Cathars, as the believers were called, proclaimed all earthly creation an evil prison forged by the demiurge – known to them as Rex Mundi, ‘King of the World’. The true God was no personified deity demanding adulation, rather more of a pure but abstract spiritual principle. Needless to say, the Vatican was not impressed and thus orchestrated the Albigensian Crusade. – From a Gnostic standpoint, it’s interesting to consider what impact the Cathars religious statement would have had on the theological landscape of today’s Europe – had they not been slaughtered almost to the point of extinction. In 1209, Pope Innocent III initiated a military campaign designed to eradicate this heretical infestation from its stronghold; the Languedoc region of France. During its twenty-year duration, up to a million Cathars are estimated to have been killed. The crusaders truly must have appeared as the host of a megalomaniac demiurge, setting the tone of the conflict early when arriving at the town of Béziers. Abbot-commander Arnaud-Amaury was asked how to tell the Cathar heretics from the Catholic townsfolk, and was quoted as responding ’Caedite eos. Novit enim Dominus qui sunt eius’ – ’Kill them all, the Lord will recognise His own’. Béziers was burnt to the ground and its entire population put to the sword, some fifteen to twenty thousand. – Parts of the teachings descending from these traditions have survived, and I guess that if they were more potent they would have been picked up by people appreciating their values and principles, and still have its followers today. Where there is a will, there is a way. Could you identify at all with their world-view? – Theirs is a form of Christian Gnosticism, so there’s plenty I don’t agree with. There are some interesting aspects found in it though – dualistic principles of good and evil, the cycle of reincarnation, and renouncing the materialistic world. However, it’s not really something I have a particular interest in above other similar religions or traditions. Since we’re already entrenched in comparative religious studies, we look to the ancient Egyptians. If we for argument’s sake subscribe to their outlook, the freshly deceased would face a tribunal led by the god Osiris – the ’weighing of the heart’ against the proverbial feather of Ma’at; which represents harmony, equilibrium, law, and morality. The assessment determines if one has lived to the fullest and not wasted the gift of life, so I’m curious how R would fare should he happen to expire. – Seeing as the counterweight is essentially the entire cosmic order – not very well I presume. Hearts that seek ultimate freedom beyond the confines of creation are in constant opposition to this arrangement, and strive to sever all ties to it. So I would indeed fail the test. I do however agree with the idea that the afterlife is a crossroad between reincarnations. Would you say that metal music is a good vehicle for theological recruitment? – It’s certainly a highly potent and compelling tool, and I understand why it has always been employed by both religious and ideological movements. Music is an almost universal language, something most people can relate to in numerous ways. It provides a common ground, and contains the ability to create and destroy, to inspire and discourage. As such, he says, music can serve as an outlet for the powers its composer seeks to channel. – I believe that although one can find a lot of truth in art itself, it’s not sufficient – it must be supplemented by study and practice. Through music, or any other form of creative expression for that matter, one can find a conduit to harness the power within different theological aspects. It’s almost like an energy waiting to be released, to transform. While bespeaking the blessed sounds, I’m reminded of the sacred incantation of Om. Used with some variations in traditions such as Buddhism, Hinduism, Sikhism and Jainism, – the most universally accepted meaning is that of a divine sound of great power, so perhaps it has a place in R’s sorcerous sonic activities. – Heh, if I have understood this term correctly – the three phonetic components (it’s pronounced ’AUM’) correspond to the three stages of cosmic creation, and when the mantra is sung it celebrates the creative powers of the universe. Phrased like that, my powers of deduction lead me to believe that this would perhaps not be an apt adulatory utterance for the Chaos-Gnostic. – No, to use the mantra within my work would seem very unnatural and contradictory. Why indulge customs that lead you further away from ultimate liberation, to forces that bind and restrict instead of dissolving and expanding? It is the very antithesis to what I aspire. The state of ego dissolution, or ‘psychic death’ in Jungian terms, is an experience sought after in both the esoteric, the entheogenic and the mystic. It is also a concept discussed numerous times from different perspectives on Bardo Methodology, but never from a Chaos-Gnostic foundation. – Your examples give me different kinds of associations, not all of them representative for what I would call ego dissolution. A trance is a temporary state of mind whereas ego dissolution to me means something permanent. So it’s my example of shamanism that incurs disapproval? – Well, shamans connect with the spirit world and communicate with their inhabitants – and in doing so they unite with the physical so-called reality. Eastern monks have a different goal of transcending beyond reality. Meditation techniques are often applied within Left Hand Path workings, and can be seen as one of many tools of reaching ego dissolution. The nullification of the ego is the highest aspiration, he says, the transcendence of the spirit and unification with the self beyond creation. Liberation from the ego is to rid oneself of the limitations of cosmic existence. – To be submerged into a state of boundless and acausal being, and unite with the divine. It’s a process of many transformations as the alchemical process occurs; an enlightening yet terrifying experience. By breaking the chains that shackle one’s spirit to the causal and limited, one approaches the true self. It is a gradual process, with one bridge burnt at a time. Conquering the ’I’ is the ultimate victory – after all, man is his own worst enemy and the main battle is fought within.